With the changing trends of our society and living styles we are adopting such habits which are not beneficial for us. Increase in stress, workloads, fluctuating schedules, it becomes really difficult to cope up with the chores and give 100% efficiency. One of the most loved and immediate way of obtaining energy is the very common and famous energy drinks readily available in the market. No age bracket is even assigned on the sale of such hazardous products. For timely basis we might get some boost in stamina and energy but in the longer run it is the most dangerous thing that we can do to ourselves and our loved ones. Have you ever thought that a few sips of any chemical formulated energy drink can increase the risk of a stroke six times? And it would be no surprise if we tell you that you are paying for a product that is silently killing you. The high content of caffeine, chemicals and sugar in these energy drinks can easily trigger rapid and uneven heart rhythms and have nasty side effects on your health. What should be the alternative? Because the schedules will remain the same and you will be needing a little extra external effort to gain more energy, Yes there is an alternate, which is 100 times better than these fizzy energy drinks. Our core focus is to draw your attention towards nature and grasp as much as you can. Indeed, nature has all that we need and in a better and healthier form. The unconditional love that nature has for us is never ending, the only thing is to get to the right products nature offers. Sattu Vita, is a product that is close to nature. It is a supplement that is used as an instant energy drink. All the ingredients used in the production of Sattu Vita are natural, pure, organic and they do not have any side effects on your health. 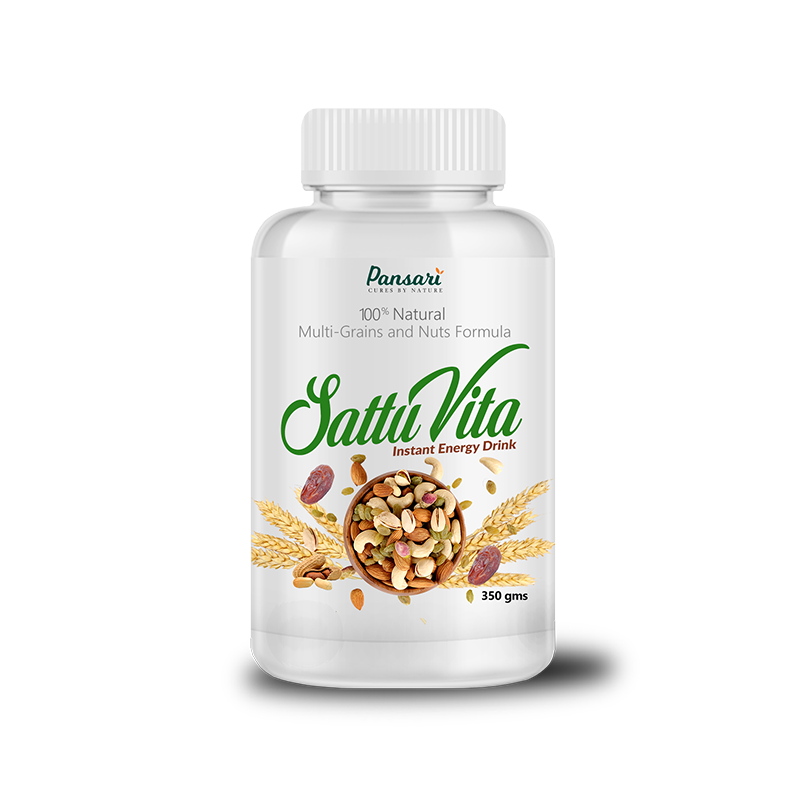 Either it is children who are coping with their strict schedules of studies or the adults who are in a rush from dawn to dusk, and not to be forgotten our elders who have given all the years of their lives to their loved ones and now have lost the energy to enjoy their lives, Sattu Vita is the ideal product all. Sattu Vita will not only boost your energy but it will fulfill all the necessities required by your body so if we say that this is the best fuel for the body in town it will not be wrong. Let us give you a peep in the products that are used in the formation of Sattu Vita so you may know what you shall be consuming. A blend of these essential and nourishing ingredients will give you a perfect kick start for the day and will keep you charged. With all the minerals, vitamins, Healthy oils, natural sweetening with dates, iron, zinc, anti-inflammatory benefits, proteins, what more can anyone ask for. We bet you would never have thought that an energy drink can be so delicious and healthy at the same time. Sattu Vita can be consumed by any age groups and is certainly not harmful. It is time that we realize what are we selecting for our self and our family. Always opt for natural and pure products and Sattu Vita is definitely one of them. Adding it to your daily routines will give you noticeable and remarkable results. Gaining energy with the help of nature couldn’t have been better. Choose Sattu Vita and bring back all the vitality home. Add 1 heaped teaspoon in a cup of milk and boil it. Once the milk is boiled let it simmer on slow flame for 5-10 mins. The organic and instant energy drink is ready. You can have it once a day. No Artificial Color, Flavor or Preservatives are added. Severely hypertensive patients should take half the quantity of the dosage i.e. ½ teaspoon.